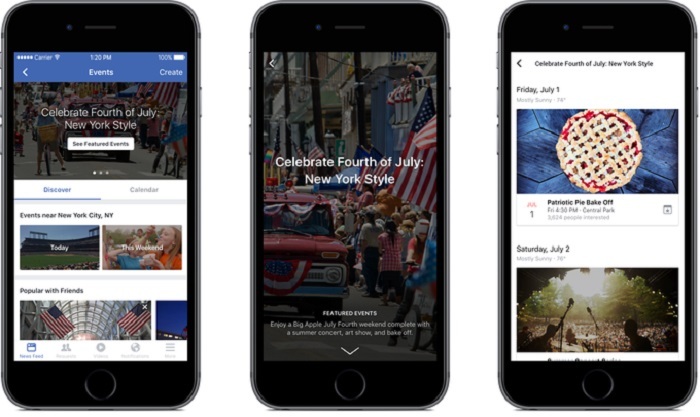 In in a bid to provide better recommendations of activities happening around users location, Facebook has launched human curated list of events . Facebook already offers Events that allows users to create dedicated Facebook event pages for parties, festivals, and more, and sign up to attend those events. However, with Featured Events, Facebook wants to offer more personalized experience. Just recently, the Popular social network released a feature which allows users to upload videos in the comments section has released yet another feature which will improve user experience on the platform. It will comprise of list of events including art, entertainment, family, festival, fitness, food & drink, learning, community, music, and sports events. The pages include all the relevant information, including the date and time the event will be taking place, and shows a list of those that will be attending. Facebook says that over 550 million people use its events feature every month. As an addition, “Highly engaged Events users” will receive push notifications when new events show up. The feature is currently live in 10 cities in the US which includes – Los Angeles, Seattle, Chicago, Dallas, Houston , Miami, New York City, San Francisco, and Washington, D.C , Boston. However, There is no information about when this feature will be available for Nigerians. We could only hope.